The John Sandford books in order include his popular Lucas Davenport (Prey) series, with to date 28 crime mystery novels. I have read most of the author’s books in the series, starting with Rules of Prey, which was first published in 1989. I think I’ve read the book soon after its publication and got hooked on the series right away. While Lucas Davenport is John Sandford’s main series, he has also written additional books in the Virgil Flowers series, the Kidd series and The Singular Menace trilogy. All series are well-worth reading. Here are all the John Sandford books in order for all the books he has written in the various series and his other books. Do you have to read the John Sandford books in order? My opinion is yes, and here is why. The events in the John Sandford Prey series take place in chronological order, which means if you start the series from a book in the middle, you might not have some of the backgrounds into the main character or some things that happened before. As for the Virgil Flowers series, the main character here is known to Lucas Davenport, who takes him into the BCA (the Minnesota Bureau of Criminal Apprehension), which means Lucas Virgil’s direct boss. The location of the place is in Bluestem, a small town which is hardly on the map. 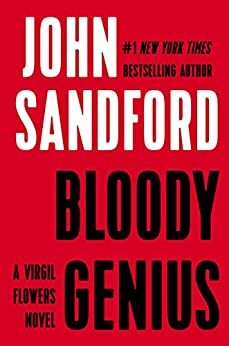 So the two John Sandford series not only should be read in proper chronological order but with the two main characters being connected, it just makes sense to follow them based on how the events happened. Thus, the John Sandford book list includes quite a lot of books to pick up, but they’re all worth it. The author John Sandford, real name John Roswell Camp was born in 1944 in Cedar Rapids, Iowa. He attended the University of Iowa where he received his BA in American History and a master’s degree in journalism. For several years John Sandford was a journalist, working for The Miami Herald between 1971-1978. After moving to Minneapolis, he started writing as a features reporter for The Saint Paul Pioneer Press for two years, before becoming a full-time daily columnist in 1980. During his journalism career he was once nominated for the Pulitzer price, and once actually won it for a series he wrote about a farming family in Minnesota, with the title “Life on the Land: an American farm family. His debut as a novel writer started with two books he wrote in 1989, the first one titled The Fool’s Run written under his own name, while the second one, Rules Of Prey written under his new pseudonym, John Sandford. Each of these books was the start of a new – and very popular – series. My favorite series if, of course, his Prey series. It suspenseful, gory, with an edge of your seat type stories, and I’ve been reading the books as fast as they were published, which thankfully came at a rate of a book a year. 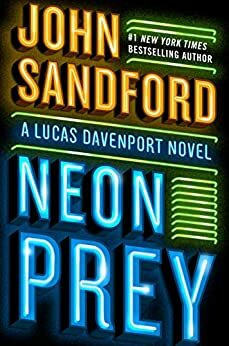 While the official name of the series is Lucas Davenport, I’ve always called it ‘Prey’, because, well, each book title contains the word’Prey’ in it, and honestly, once you read the John Sandford novels for this series, you realize just how much more fitting Prey is compared to Lucas Davenport. The entire Prey series by the author John Sandford is fascinating, especially to anyone who loves books with a vicious mad serial killer and their nemesis who loves to hunt them down in often non-orthodox ways. Lucas Davenport is by no means poor. He has made his money from designing war games and he really doesn’t need this job. But he wants it and the freedom of not needing the money means he can catch the bad guys by playing by his own rules. Would love to see a series of Jacob Winter.